Snowflake Frozen Inspired Cupcake Wrappers, Snowflake Birthday Party, Winter Party, Printable Instant download. Snowflake Cupcake Wrappers printable. Three per page for standard size cupcakes. 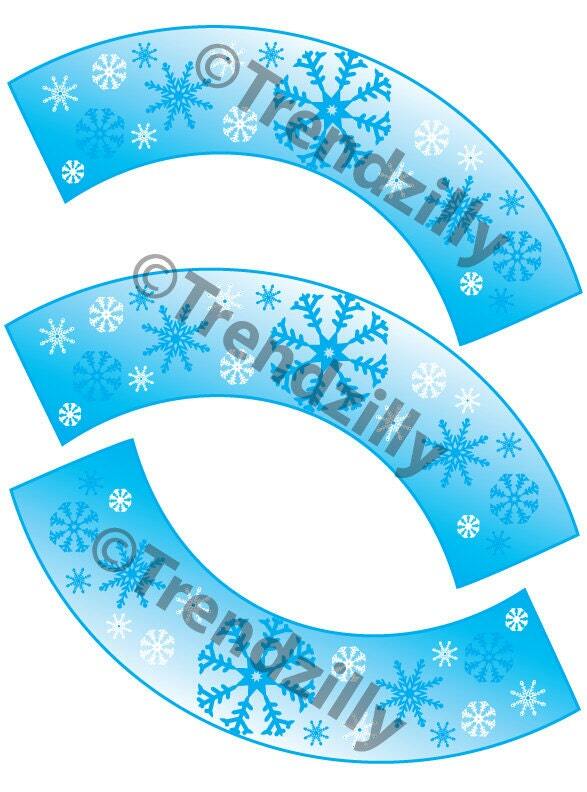 ~ Snowflake cupcake wrappers, can be printed on plain paper cut out, taped and placed around cupcakes. Goes with Frozen cupcake toppers found here: https://www.etsy.com/listing/188896553/frozen-cupcake-toppers-printable-instant? file can be downloaded after payment is confirmed.